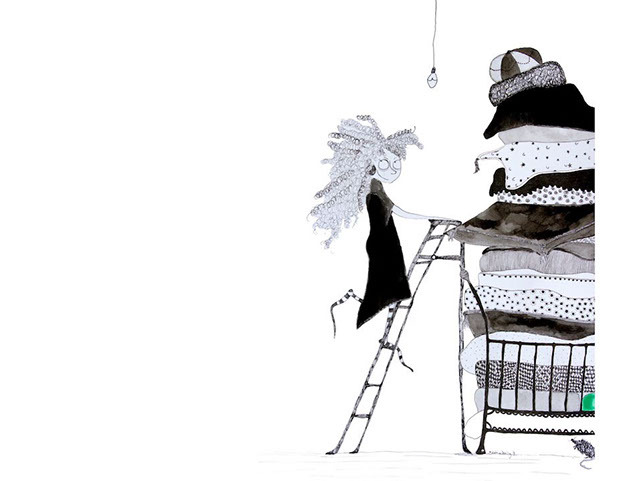 From teaching in Germany to illustrating in Australia, Katrin Dreiling has literally come a long way to become the inspiring, creative and talented artist she is today. 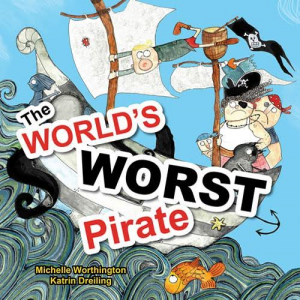 Celebrating her first picture book with award-winning author Michelle Worthington, we are fortunate enough to have Katrin join us for an awesome chat on her work and The World’s Worst Pirate . First, a little about the book. Will hates being a pirate, and his buccaneering skills, or lack thereof, are obvious to the rest of the crew. His mother, the Captain, is less than impressed with his choice of passion – a scallywag chef in the galley. That is, until Will saves the entire ship from a bloodthirsty Kraken – by feeding it one of his delicious cupcakes! With all satisfied by the outcome, a change of heart sees Will become the best pirate-chef / Kraken-tamer / cupcake-maker of the seven seas. Dreiling’s illustrations bring much life, colour and energy to this thought-provoking and empowering story about listening to your heart. 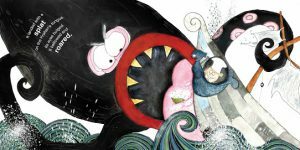 Her cleverly curated techniques involving splashes and sprays, line and fluid watercolours, mixed with her unique and quirky stylised characters and scenes make for a playful, light-hearted romp on board this momentous deck. Aspirational, with plenty of sweet and bubbly goodness to leave you licking your lips for more, The World’s Worst Pirate is a jolly and hearty quest for any pirate-loving (or not!) adventurer from age four. 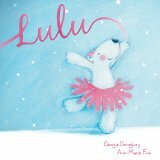 Little Pink Dog Books, July 2017. Purchase here. Katrin, congratulations on the release of your debut picture book, The World’s Worst Pirate! Can you tell us a bit about your journey towards being selected as illustrator for this book? Thank you very much and thank you for inviting me to this interview! I have known Kathy and Peter Creamer for a little while simply through social media. They contacted me when I had just finished an illustration for my inky version of Hans Christian Andersen’s Princess and the Pea and bought the original artwork. When Little Pink Dog Books started to call for submissions Kathy was so kind to approach me again and this is how things started to flow. I really appreciate all their support. It is so important to know that someone believes in your work when you are just starting out. 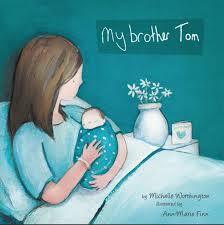 The story by Michelle Worthington contains an empowering message about following your dreams despite challenges. Does this resonate with you? What were your challenges and rewards during the illustration process? I love your mix of line, watercolour, splashes and sprays! What a perfect combination of techniques for this book! What kinds of media did you use? How did you develop your unique style? I usually like to mix media depending on what colour I’m after. For example, if I am about to create a cloud and I remember to have a beautiful blue paper somewhere in my paper collection I might decide to do a collaged cloud. I also always aim to incorporate techniques that children are familiar with (ink/ watercolour splashing) to inspire them to get creative, too. What is your favourite part / illustration in The World’s Worst Pirate? Why? I think I like the cover the best because I really enjoyed drawing those waves. They took forever but it was really relaxing to do. Also I liked having all characters on this one page and seeing how they look together. 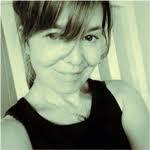 How did you find collaborating with Michelle? Were there any surprising moments? 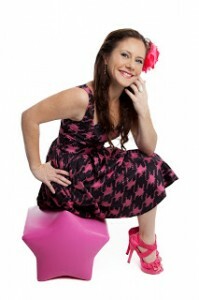 I have met Michelle years ago before this project when I was undertaking my own little publishing business. So I knew she was very professional to work with but I had no idea she would be so easy going and supportive. She made my job really easy and a pure delight. 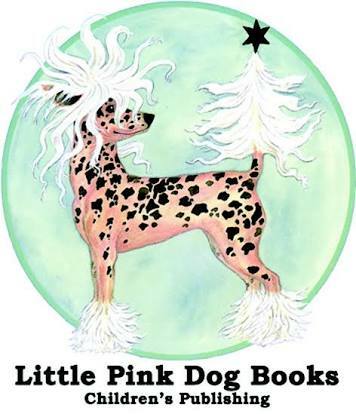 How would you describe the support of the publishing team at Little Pink Dog Books? How long did the illustrations take to complete? 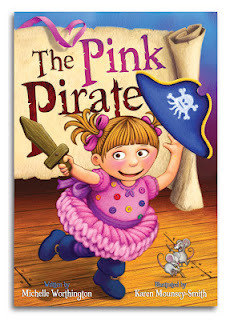 Little Pink Dog Books were equally supportive, very transparent and a joy to work with. The illustrations were done in three steps (sketching, storyboarding, final artwork) and I had plenty of time for each stage to help achieving the best results possible. I think altogether I was illustrating over a course of eight months. Fun Question: What is your favourite flavour of cupcake? Most certainly vanilla! Although I am very fond of chocolate, too…and I can never say no to mocha flavour but I think my favourite one would be choc chip cupcakes unless there’s the ones with fancy icing and strawberry flavour, they aren’t too bad either…..
Have you always wanted to be a children’s illustrator? Which artists influenced you along your journey? It’s a life-long dream to work creatively but the direction of children’s illustrations was definitely influenced by my own three children. 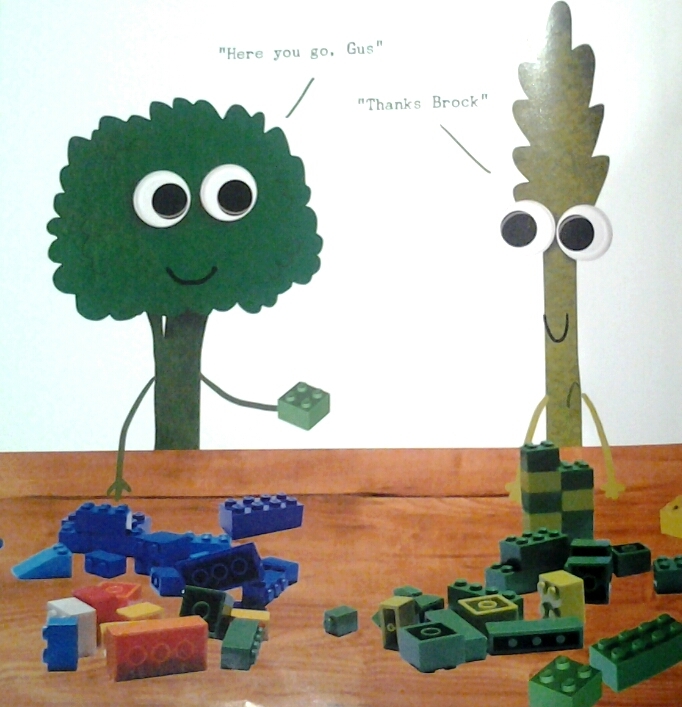 I could see how much impact the artwork has on little minds when reading a book together and I wanted to achieve exactly that. My favourite illustrators are Russell Ayto, Chuck Groenink and many French illustrators because I love the poetry in their art. What else is on the cards for Katrin Dreiling? What can we look forward to seeing from you in the near future? I recently finished a project with MacMillan Education and hope for more projects of that kind. Currently I am working on my own picture book manuscript and the illustrations and then I also recently signed my second contract with Little Pink Dog Books and Michelle Worthington. 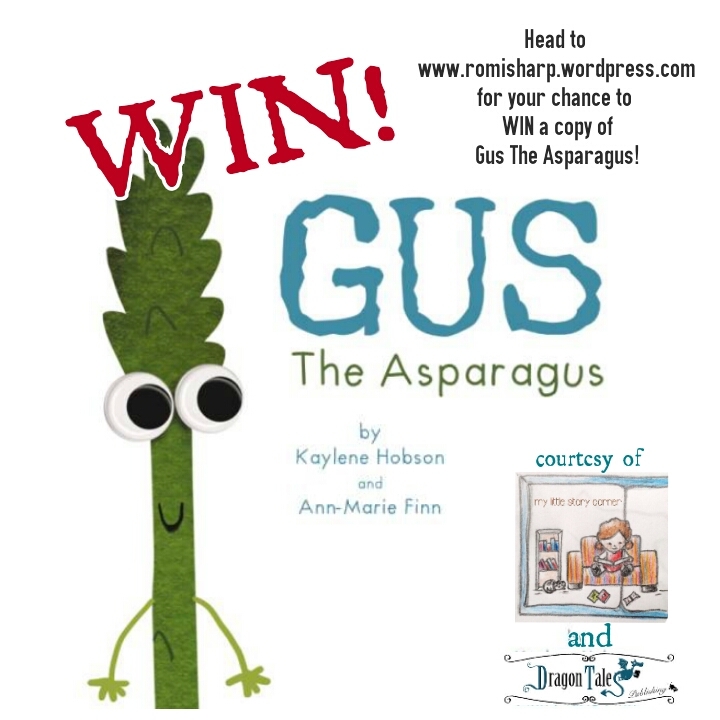 Illustration work for that one are well on the way and I sometimes give some sneak peaks on my social media…..
Katrin studied languages in Germany to become a teacher, and ended up being an illustrator in Australia. She loves to come up with quirky creations that inspire children to get creative themselves. She also provided the characters for animated university lectures and government staff coaching videos that attracted over 320,000 views worldwide to date. 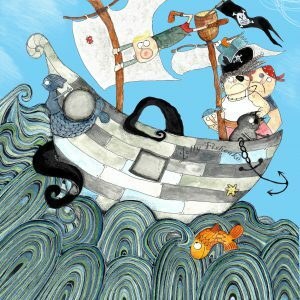 Katrin just finished her first pirate book written by Michelle Worthington and to be published by Little Pink Dog Books this year and currently works on a project to be published by Macmillan Education. As much as she enjoys illustrating, she could not fully put her language studies behind her, occasionally authoring short stories. 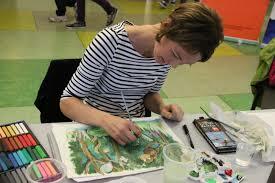 Katrin also enjoys giving colourful and messy art classes to kids twice a week. 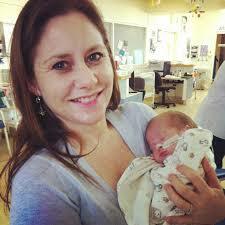 In her free time Katrin loves to spend time with her husband, three children and Golden Retriever “Loki”. For my interview with Michelle Worthington on getting to know The World’s Worst Pirate, please head here. Dear Mums, whether you begin it with burnt offerings and flowers in bed or embark on a 24 respite from the usual onslaught of bickering and demands, you are celebrating Mothers’ Day because you are part of one of the most magical clubs in the world. The following assortment of picture books, all out now, encapsulates that magic. 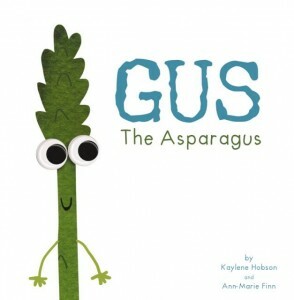 They are in equal parts cute, absorbing, whimsical and funny. Young children under five are well catered for. 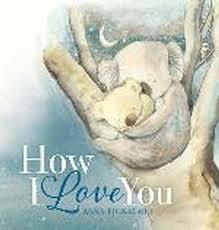 How I Love You by Anna Pignataro (Scholastic Press, March 2014) oozes tenderness and charm. What it lacks in narrative depth is more than compensated for by the understated beauty of Pignataro’s glorious illustrations. Children will enjoy mimicking the high-lighted prose as they visit a diverse collection of Aussie animals at bedtime, each revealing by their actions just how they love their mummies. Sweet and perfect for bedtime togetherness. 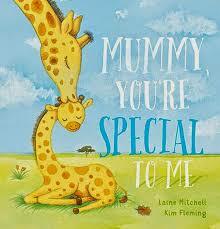 Similar in design and content is Laine Mitchell’s and Kim Fleming’s, Mummy, You’re Special To Me. 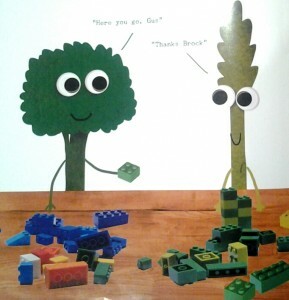 (Scholastic Australia, April 2014). Again this is less of a story and more of an exploration of the divine diversity and uniqueness of mummies all over the planet. Little Giraffe thinks his mummy is super special because she’s ‘kind’ and ‘strong as a knight’. As he navigates through life, he discovers a universe of other mummies each with their own special qualities. My favourite encounter was sipping tea with Little Camel’s hip and groovy Gran. Some of Mitchell’s rhyming verse felt a little off key at times but Fleming’s adorable, multi-technique illustrations were special enough to send me right back to the beginning to enjoy it all over again. Hootie the Cutie (New Frontier Publishing, April 2014) by Michelle Worthington and fresh newcomer to the children’s book scene, illustrator Giuseppe Poli, could as easily be enjoyed by dads and grandparents but deserves special mention here, because what mum does not welcome a little dragon magic in her day? Worthington weaves a winsome, whimsical woodland tale about an owl, small in stature but large in heart and spirit, and brave beyond all measure as it turns out. Poli completes the very pleasing tapestry with illustrations that will enchant the pants off you. 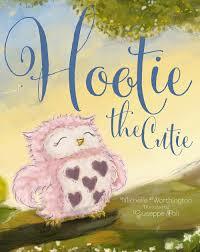 Hootie the Cutie reminds us that sometimes loving (our children) is about allowing for growth and letting go while simultaneously showing pre-primary aged children that independent thought and actions are qualities that can shape and strengthen who you really are. Highly commendable. Nanas are high-profiling a lot these days and little wonder when grandparents make up the highest proportion of informal childcare in Australia according to (AIFS)* statistics; so Deborah Kelly’s and Lisa Stewart’s, Jam for Nana (Random House Australia, April 2014) is destined to be a generational crowd pleaser. This picture book delights on many levels; from its dustcover-covered, recipe-book shape and size to its comforting unrushed rhythm and wholesome narrative. 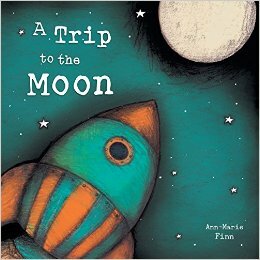 It is a book you’ll want to treasure, or at least share with your little one and their significant grandparent. 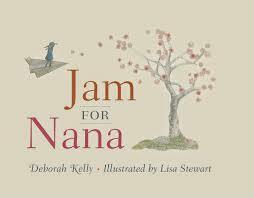 Told from a little girl’s point of view, it highlights the special bond between her and her grandmother and centres on her desire to recreate ‘real jam’ for her nana. It reminded me of a time in my childhood when backyard apricots tasted like ‘the warmth of a hundred summers’ too and life was full of substance so pure and thick and wonderful, you could ‘hold it upside down and shake it’. 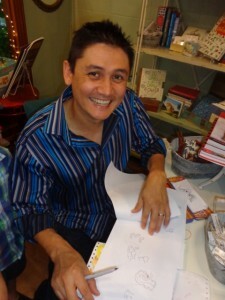 Stewart’s divine illustrations and Kelly’s shared pancake ritual make this one very special picture book. Nurturing and snuggling are all well and good but bringing a smile to mum’s face is perhaps the best thing you can give her. My Mum says the Strangest Things, (Black Dog Books, April 2014), is guaranteed to have her LOL in no time flat. In fact, I can barely get through it (with my Miss 8) without crippling waves of laughter washing over me. Th e Katrina Germein and Tom Jellet team that gave us My Dad Thinks he’s Funny and My Dad Still Thinks he’s Funny, train their humorous cross-hairs on mum’s idiosyncratic refrains this time, with deadly accuracy. 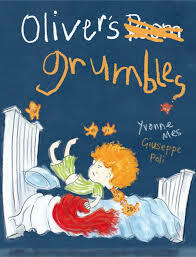 For adult readers, the sweet irony of mum’s idiomatic expressions is difficult to ignore and impossible not to relate to: ‘when mum’s tired she says everyone needs an early night.’ Love, love, love it! There is something here for every member of the family. Older primary aged kids will be rolling their eyes and trying not to laugh. You’ll be taking stock of the next ‘strange thing’ that falls out of your mouth. 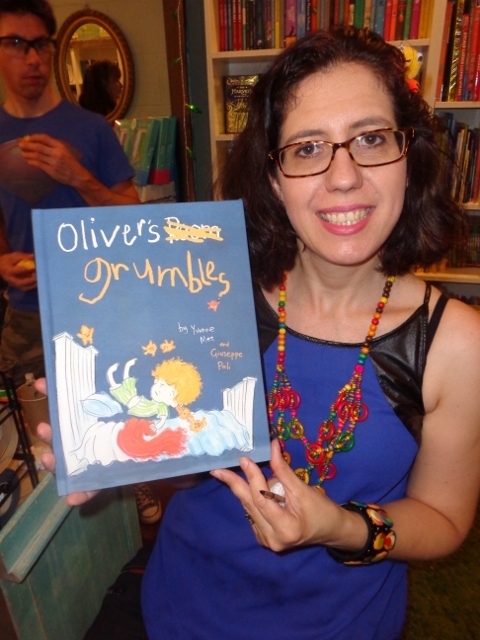 So, however you end up spending Mothers’ Day, make sure you take a moment or two to share it with the little people who gave you the reason to read picture books again in the first place (and linger longer in bed for at least one day of the year). Happy Mothers’ Day! * AIFS.gov.au viewed Feb 2014.